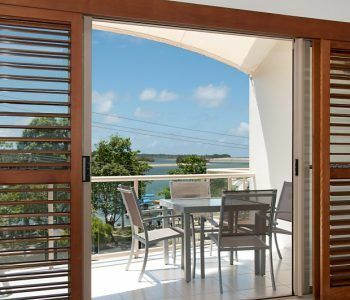 This is the quintessential accommodation in Noosaville that you`ve been looking for. Our location on Gympie Terrace is the perfect position for lovers of fine food and tranquil riverside accommodation retreats. 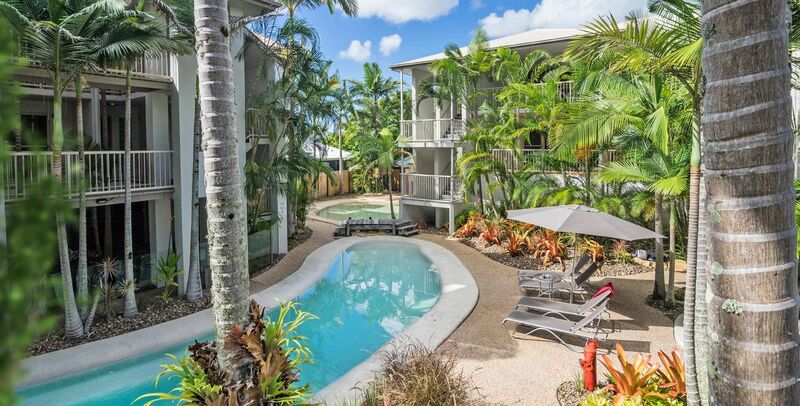 Offshore Noosa has one, two and three bedroom fully self contained apartments that offer river views, or overlook the gorgeous tropically landscaped courtyard and large lagoon-style swimming pool. Also in the courtyard you’ll find the spa pool, sauna, children`s wading pool and a handy BBQ area with seating. There`s nothing quite like a BBQ beside the pool. It`s the classic Queensland holiday experience that never gets old. 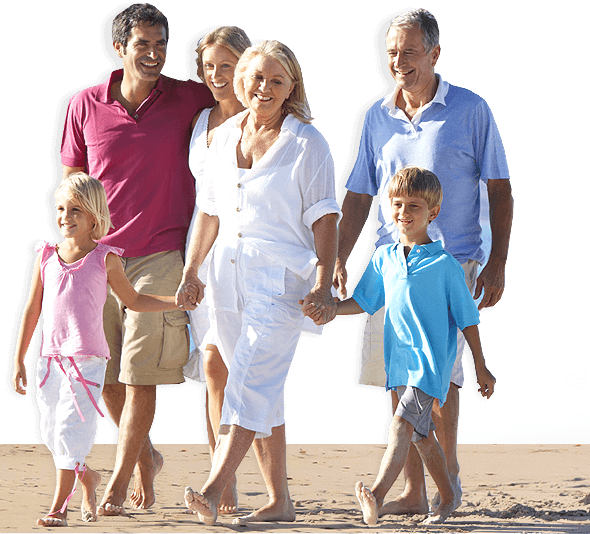 You’ll also find the Offshore Noosa is ideally situated to enjoy your Noosaville holiday without the need for a car. A short walk along Gympie Terrace takes you the enclave of world class restaurants and cafés. Take your pick, a la carte, international cuisine or fish and chips beside the river at sunset. Grab the Noosa ferry to Hastings Street. Here is the seaside version of the Noosa hospitality experience; restaurants, cafés, bars, boutiques and gift shops and the gorgeous Main Beach. This beautifully sheltered bay is very safe for swimming and is ideal for family outings. With the subtropical climate of warm summers and mild winters any time is the right time to visit Noosa. The Sunshine Coast location is very accessible and is just a thirty minute drive from the Sunshine Coast Airport and ninety minutes drive from Brisbane International and Domestic Airports. Getting here is easy. Leaving, well that is a different story. 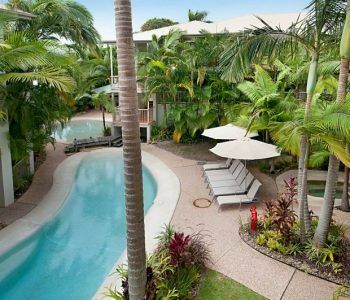 Offshore Noosa is a splendid base for your holiday in paradise. You don’t need a car to get anywhere. It’s all accessible with public transport, or by foot. 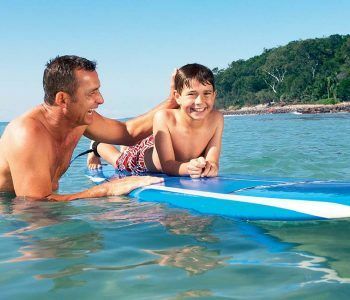 Whether you care for water-based activities or adventure on the high seas, there are several businesses on Gympie Terrace where you can hire a boat to explore the glades of Noosa River, or take a lower profile with kayaks or stand up paddle boards. In Laguna Bay you can take a racier approach to watersports hiring a jetski or really taking flight paragliding. This is the accommodation Noosaville you’ve been looking for. Luxury by the water. Book now.